more about… | Robert Pollien, Artist: Maine, Wyoming, Landscape, Crows. 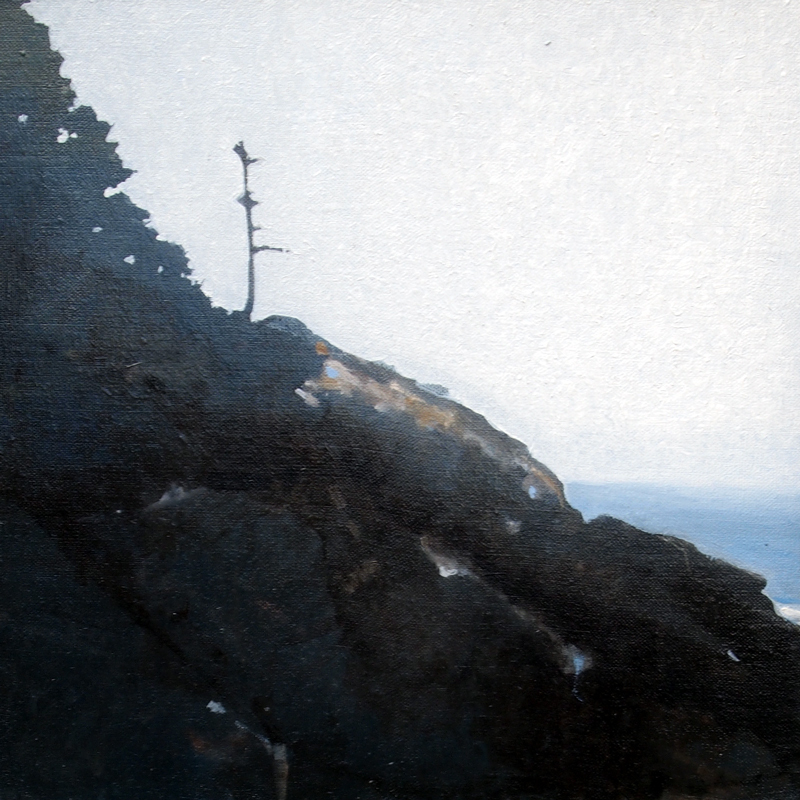 My landscape paintings of the Maine Coast are generally compact and straightforward in their approach, neither overly decorative nor elaborate. Interest in landscape as experience motivates my efforts to paint in a way that feels present in the act of observation .I began painting the Maine landscape while attending Skowhegan in the early eighties.. I have developed a deep and abiding reverence for the landscape, a fundamental fact, central to our being that ties us together. I paint a vision of the simple human experience of Maine’s coastal landscape.The intersection of land and water to be evokes the kind of quiet contemplative state that I endeavor to instill in my work. My subject matter generally eschews the depiction of elements that imply human presence or narrative. My paintings are based on meditative observation of the beauty of natural world, yet this thoughtful reverie is tempered by the subtle disquiet of our contemporary alienation from nature. My partner and I just purchased “Late Winter” from the Isleford Dock Gallery. We are very excited about it. I was reading your background and found the residency on Monhegan Island very interesting. I am a descendent of the Trefethen family who originally settled on Monhegan, but then moved to Peaks Island off the coast of Portland. I actually have the majority of the paintings by Jessie B. Trefethen who taught art at Oberlin College. One of my favorites is the painting of the lobster shed on Monhegan. I display it proudly over the fireplace. I can’t wait to add your work to my collection.